Do you ever stand in the dental aisle of your grocery store and feel overwhelmed by all your toothpaste options? That’s not uncommon. While it’s great that these days, we have so many different pastes to choose from, too much choice can lead to confusion. Allow us to break it down for you and discuss exactly what you need to know to choose the best toothpaste for you! What Do I Need to Look for in a Toothpaste? The good news is by and large, most toothpastes on the market will protect your teeth, because all toothpastes fight cavities. So, if there is a special blueberry toothpaste that you really enjoy, we encourage you to keep on using it—with one caveat—please make sure that it contains fluoride. Fluoride is a naturally occurring mineral that prevents cavities by making teeth more resistant to the acids that cause tooth decay. It does this by rebuilding weakened tooth enamel, making it stronger. In addition to selecting a toothpaste with fluoride, we also encourage you to look for the ADA Seal. What Is the ADA Seal and Why Is It Important? The ADA Seal is your assurance that the toothpaste has met the American Dental Association’s criteria for safety and effectiveness. The claims that are made on the packaging of products with the ADA Seal have been verified as true. 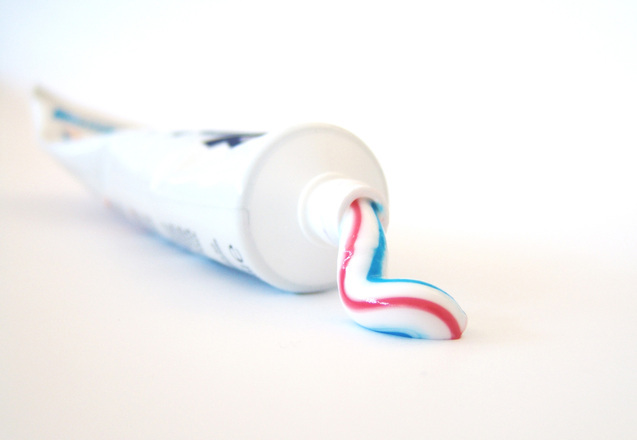 For instance, if a toothpaste has packaging that labels it as non-abrasive, the manufacturer must submit data to the ADA supporting that claim to earn the ADA Seal. What If I Want to Focus on Whitening? We understand. Everyone wants the pearly whites of a movie star! Whitening toothpastes contain abrasive particles that polish the teeth or bind to stains to pull them off of tooth enamel. While many people are hesitant to use whitening toothpastes due to their abrasiveness, studies suggest whitening toothpastes are no harder on enamel than other types of toothpaste. With that in mind, feel free to select a whitening toothpaste at the store, as long as it has the ADA Seal. If you wince when slurping hot soup or eating ice cream, you may want to consider a toothpaste specifically designed for sensitive teeth. There are plenty to choose from on the market—again, just look for the ADA Seal of Approval. These toothpastes don’t contain abrasive ingredients. Instead, they contain chemicals like potassium nitrate or strontium chloride, which create numbness in the tubules of the teeth’s dentin (its middle layer). Many toothpastes are harmful to dentures. For that reason, you want to avoid using toothpaste with your dentures. Instead, simply clean them with a soft-bristled denture brush and water. This will remove plaque without damaging them. It’s easy to schedule an appointment with us. You can request an appointment online by clicking here or by calling us at 978.688.4441. We are happy to offer evening and weekend hours for your convenience in our Methuen office.